We're slowly but surely moving towards that part of the year where every single video game publisher dumps their best AAA titles on the market at exactly the same time and then wonders why they don't sell as many units at other points in the year. It's a fun time, but if you've got a Switch, then you'll know there's already a nice, steady flood of games hitting the eShop each and every week, as well as a smattering of retail releases, too. With this in mind, we've compiled 13 (yes, 13) of the most notable examples coming this month in this handy, easy to swallow video presentation. Which game will you be buying during the month of September? 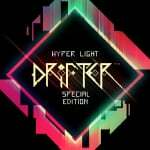 Hyper Light Drifter: Special Edition, perhaps? Or would you rather take a nibble on the cult classic Undertale? Maybe Dragon Ball FigherZ is the one you're keen to sample? 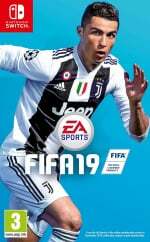 Or could you be the sporty type, pining for the likes of NBA 2K19 and FIFA 19? Let us know with a comment, and be sure to cast your vote below. FighterZ has my wallet this time. I've been waiting for this game for months on Switch. Ah, no comments, that explains the 50-25-25 split after I voted for Torna. Undertale and Hyper Light, but only after I get an SD card and beat Hollow Knight and Okami. By then it’ll be time for Smash at the rate I’m going. I keep buying games and not playing them. That’s gotta stop. I barely touched Warioware either. Kind of wish I could just skip ahead to December for Smash. I’m beyond hyped about it. I can’t wait to play it. Valkyria 4, easily. The game is going to be brilliant on Switch. Also picking up that Senran Kagura game. We'll see how that goes. Other than those two, and the games I just bought the last few days, I'm done until Mega Man 11! Picking up Towerfall for sure. Hate skipping DBFZ, but I got the SF collection back when it was released and I haven't spent nearly enough time with it to justify buying another fighting game. Also, I still need to snag a copy of Octopath Traveler. I preordered Torna and DBFZ before Amazon took away the discount, but I couldn’t get the physical version of Undertale through them so I still have one game left to shell out for this month. Hyper Light Drifter, not a question about it! 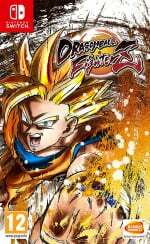 Was interested in DBFZ, until the demo made me re-think that. Of the ‘AAA’ or mid-tier stuff, probably VC4. Indie-wise? Bastion, Undertale and TowerFall. I know, I know. Late to the party on all three. Oh well. There's a few I'm interested in and will buy but there's no games from that list that I'm super excited about. I've already got way too much to play as it is though so I don't need every month to be packed with exciting titles. While I won't be getting it anytime soon (and I'm still holding out for the western release date of the first game which, mind you, is happening on Switch as well), I'd say Valkyria Chronicles 4. Bastion is probably a close second, and my already tangible double-dip odds have almost quadrupled after seeing the eShop price - not much higher than the discounted one I paid for the Vita version earlier, believe it if you will. New XBC2 content is promising as well, but again, it'll be a long while before I reach even the game itself - especially considering the Skyrim-tier time eater nature of this series. HLD is on my radar but not a high priority. SNK Heroines and Undertale are more certain future purchases, but also with the emphasis on "future". 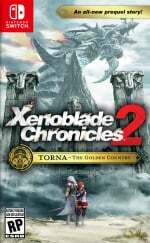 If I've never played a Xenoblade game, will Torna: The Golden Country be a good place to start? I'm going to watch some gameplay, but I wanted some opinions. @Anti-Matter I suggest the Vehicle Kit before Variety. There’s a lot more you can do with the Garage. You can also design and define your own controls for the game. My next games after The Messenger und Into the Breach are Mega Man 11 and Starlink. But there's always another game coming around that I have to buy. @Matthew010 I suppose it is in the way that it’s a low entry cost (comparatively) but it’s really a companion to XC2, I’d recommend that before Torna. Heck, even more so I’d recommended the original before XC2 if that was an option. (XCX is great but may as well be a separate series.) So if price is an issue, Torna is your cheapest option, but you’d get more out of it if you played XC2 first. No love for Dust: An Elysian Tale? Thats my purchase of the month, will probably end up with towerfall and maybe valkyria too. @Matthew010 I'd say go for Xenoblade 2 first myself and then Golden Country. Although footage will give you a good feel for the games look and music it is a lot better gameplay wise then videos would lead you to think. When it comes to my Switch, September is a very, very quiet month. Hyper light drifter, NBA 2k19, FIFA 19, DBFZ, Undertale and Xenoblade Chronicles dlc for me maybe more if extra stuff gets announced. September: Labo 3, Undertale, A Hat In Time DLC and (probably) the worst birthday ever. 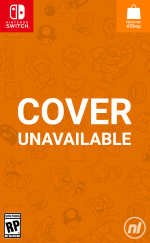 October: Starlink, Mega Man 11 and Super Mario Party. November: Fallout 76 (and maaaaaaaybe Pokemon, but the fact that it costs 60 euros has turned me off). December: Smash and the almighty Lord Gaben's Steam winter sale. so only Xenoblade Chronicles 2: Torna: The Golden Country and Valkyria Chronicles 4.
the rest pass like messi. I'm going to buy Towerfall again, but VC4 is one of my most anticipated games of the year. I've already preordered it, and the demo only served to hype me for it more. Absolutely can't wait for it. 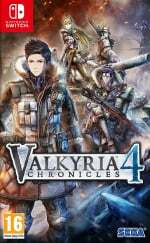 Unless reviews somehow trash it, Valkyria 4 it is for me. Only 3 interest me, Valkyria Chronicles 4, Dragon Ball FighterZ, and Hyper Light Drift. @bluemage1989 @ShadJV Ok then! Torna is going to be my entry point into Xenoblade and if I enjoy it, I'll by the base game. So less wanting NBA? 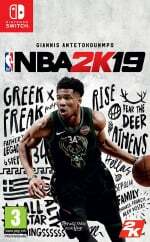 I pre-ordered 2K19 including a Spalding Ball. I also played 2K18. You guys don't know, what you're missing. The rate at which world class games are dropping is mental. Hyper light drifter is top of the pile for me but I somehow have amassed over 65 games for my Switch. I’ve just completed master blaster zero and mighty gun volt and am trying to finish thimbleweed park (which is impossible to me without a walkthrough😂) golf story and shantae. Have hollow knight and wonder boy to begin but that drifter is taunting me. This is on top of dark souls 3! That first game looks interesting too. I wasn't bothered about Labo 1 & 2, but this new one looks decent. Of the games due out in September, it's the one I'm most likely to get. If we're including other formats though, Spider-Man is the no-brainer for this month, and looks set to dump from a great height on everything else released this month in terms of quality. @baller478 2k18 certainly wasn't the best and it had some glaring issues, but i wouldn't call it trash either. Gamers tend to have a very black & white mentality these days. If something isn't mind-blowing, then it's trash. No doubt the Torna DLC, has a pretty likely chance of being GotY for me even if Smash Ultimate ends up with a story mode. To anyone on the fence, FighterZ is a great time. Even beginning it is easy enough and flashy enough to hold your attention, I have 170 hrs on PC and I still play it all the time, and I got it launch weekend. I could only vote for one (Torna), but Torna and SNK Heroines are both day 1 for me. Forgot Valkyria Chronicles was so soon, YAY! For the most part,Fans on here don’t really play realistic sports simulators. @diablo2 it’s the best and deepest mobile basketball there has ever been. Getting both the Torna expansion and Valkyria chronicles. I'd have to say I'm a little nore hyped for VC, partly because I'm getting the CE version, with the tank and art book. Never played Undertale, but have had it recommended many times. Now that I can play it on the go, it is a no-brainer for me! But yes: Torna, Valkyria Chronicles 4, Undertale, and probably Hyper Light Drifter for me, most likely staggered over time. I'll be getting Labyrinth of Refrain at some point, too; The Lost Child has reawakened my appetite for super-old-school dungeon-crawlers. @Matthew010 I hope you enjoy the series as much as I have. I'm hoping we will see Moonlighter soon. Where's Arena of Valor. I was Addicted esports game. Good lord I forgot about Valkyrie 4. I've got over twenty games, completed three of them and have at least another twenty on my wish list for the Switch. That's without Diablo, Dark souls, Wasteland 2, Octopath traveler and Valkyrie 4. I still haven't got Mario or Skyrim either. @Anti-Matter you forgot smash bros.
Of the games on the list, I'm most excited for Valkyria Chronicles 4. The game I'm most excited for in September as a whole though, would be Labyrinth of Refrain: Coven of Dusk. Hyper Light Drifter has my interest, as does SNK Heroines. Valkyria Chronicles, maybe. The rest, meh. Another good month for the Switch. I'm interested in VC4, Torna, SNK and Bastion. 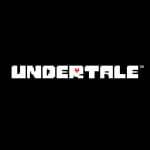 Undertale and Hyper Lighter Drifter are also.on my radar. We should be able to vote for at least 3 games in the poll. It’s a no-brainer: Valkyria 4 for me. Not getting any games this September because I have a wedding to go to in October in the States. Gotta save up for that. Plus I'm getting Super Mario Party, Starlink, and the new Assassin's Creed game. I would get Dragon Ball Fighter Z, if I wouldn't already own it on PS4. And about NBA 2K: I have to admit, I didn't play 2K18 that much. And now, I sold it because of 2K19. Valkyria Chronicles 4. Played the demo through 5 times. I need more!! Generations Ultimate has my time for the foreseeable future. Even though it's a FtP, Arena of Valor is also coming in September, don't forget. However, definitely Dragon Ball FighterZ is THE game of the month for me. Well, along with Valkyria Chronicles 4 and Torna: The Golden Country... And Dragon Quest XI, Tomb Raider and Spiderman from the other systems... Such a month! @RonDiaz That would be SO cool, man! Original xenoblade 2 was awesome. I'm thinking about getting the dlc, and after that it's Diablo and maybe some smash, don't know yet. The PlayStation will get some love too as the backlog still has some great games I haven't gotten around to playing yet. Now that I’ve successfully preordered everything releasing on December 7th (Smash Ultimate, the amiibo, the GameCube stuff, and the Pro Controller; my Ultimate weekend! ), I can finally focus on some smaller titles. Maybe Undertale or Minit. But before I do any more small titles, I’m going to save up and preorder the Pokémon: Let’s Go! Eevee + Poké Ball Plus bundle. 1. Always wanted to get Hyperlight on Steam but not got the chance to so I plan on getting this one. 2. Not a fan of fanservice fighter games with little substance. Would get a port of KOFXIII though! 3. Dont care for sports. 4. 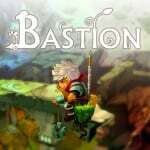 Might check out Bastion one day. 5. Labo is a no no for me bro. 6. Dont care for Undertale. 7. Idk what Light Fingers is but from what I see I aint interested. 8. Loved Jet Set Radio so insta buy for me. 9. I'm not that interested in Xenoblade. 10. Not sure if VC4 is a good place to start with this one. 11. 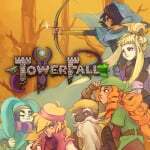 Played Towerfall on Steam, really fun game. Especially with friends. 12. Dont care for sports. 13. Demo for Dragon Ball FighterZ didn't do it for me. I will go outside the list and try mutant league football. It sounds interesting to me. Of the list Hyper Light Drifter is the one I’m interested in, never got around to playing it yet. Looking forward to Baba Is You. Really unique puzzle game. I’m picking up a couple of those but September will be owned by Playstation with DQ11, Spidey Guy and Tom Braider. Did they ever fix the shot lag on 18? That's what made me sell 18. Looking forward to several of these, mainly Valkyrie and Torna, but I may have to wait a bit as I bought no less than four games in August and I promised my kid we would get Overcooked 2 next. The Switch is turning into quite an expensive system for me. I don't think I've bought so many games in such a short time since the Gamecube's first year. I'm all over Dragon Ball FighterZ. 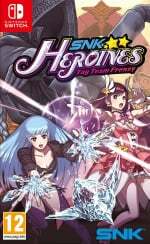 Also got SNK Heroines pre-ordered, but not sure how good it will be. Retail wise,there's nothing really that excites me for the rest of the year.SNK Collection is probably my most hyped retail title.The entire 2018 has been pretty dull to be honest.I'll get Smash but I'm not a big fan.I'll get FIFA 19 as well but it's hardly a game to get excited about.I've still to get Wolfenstein 2 though so I'm looking forward to finally playing that.i've enjoyed Octapath and Mario Tennis but overall,Switch's 2nd year has been really poor from my perspective.Thankfully there are plenty great indie games to keep me happy.I'm looking forward to playing Hyper Light Drifter and Undertale as well as too many others to list.i'm hoping Observer isn't too far away and the SEGA Ages titles will be a treat. @Wazeddie22 yeah man. Ive read every review twice at this point. A new MH and DQ in the same year. wheres labyrinth of coven refrain. I'm leaning on my PS4 the upcoming months with Spiderman and Red Dead Redemption. I just got The Messenger on Switch and it is great. looks like the first valkyria chronicles is coming west for the switch. I really want to try out that new Labo kit. DBFZ, VC4, Mutant League, and a few smaller games. Holding off on 2K19, as I'm still playing 18. @pika677 Xenoblade is made by Monolith, which is owned by Nintendo. @tc-senzei He doesn't like Smash. @RonDiaz I don't believe you. Do you have a source? If not, it's fake. Definitely Hyper Light Drifter, the rest of the games on the list don’t look that appealing to me. I have Valkyria Chronicles 4 on preorder. Think it will be a good time! VC4 looks tempting, and so is DB FighterZ. I probably won't get anything major until November, though. You forgot the rerelease of Valkyria 1 on the Eshop as well. The Switch is becoming my favourite ever console because it’s amalgamating my favourite games of all time on one machine! 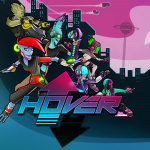 I’m getting into some hyper light drifter, dust an Elysian take ( strange it’s not on here), hover and some dB fighterz busy month for me for sure! I'm still playing Octopath Traveller, nearly 50 hours in. When I'm finished I'll think about dropping another 30-40 quid on a game.